W1407SN - "IF I BELIEVE IT, I CAN DO IT!" Exclusively Ours! Cadmium, Lead & Nickel Free! 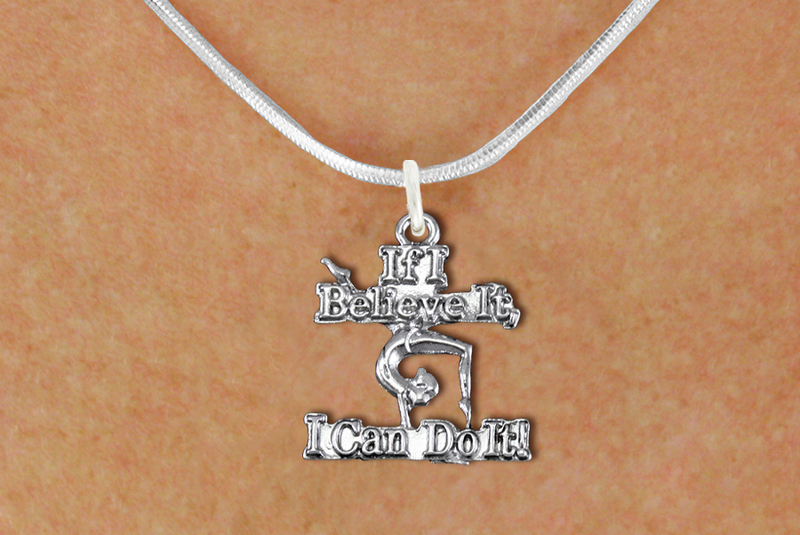 Silver Tone "If I Believe It, I Can Do It!" 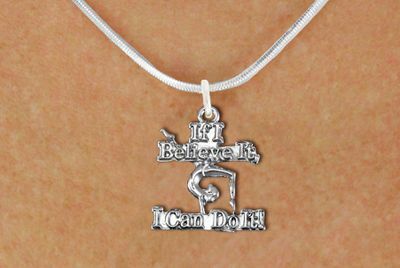 Gymnastics Charm Comes On A Necklace Style Of Your Choice: Ball Chain, Regular Chain, Snake Chain, Black Suede Leatherette, Or Brown Suede Leatherette.